Aloha and Hauʻoli Makahiki Hou! Because it’s a New Year, I wanted to share some new looks and new upgrades in the Ke Nani Kai timeshare units. 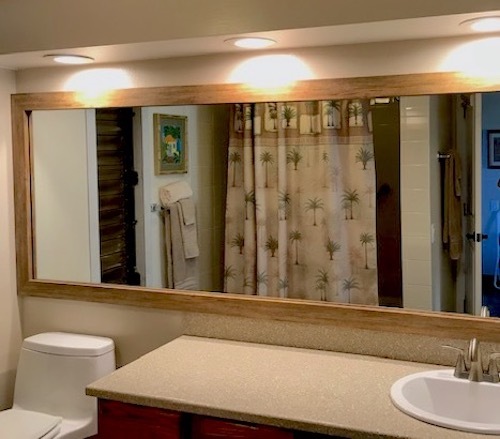 The Management Team and Board Members are doing their best to make sure your Ke Nani Kai timeshare units are updated and in top condition for your vacation enjoyment. 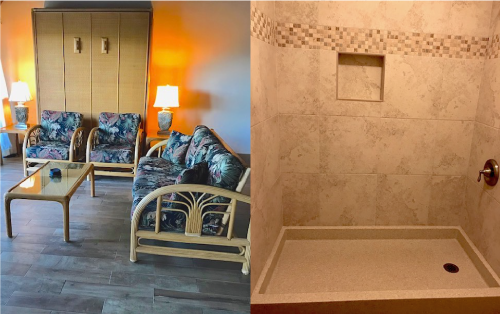 As you can see by the pictures below, we are doing some major improvements including bathroom remodeling (featuring new walk-in showers, Corian countertops, updated fixtures, mirrors, and cabinet restoration). Our flooring project is almost complete with all units having sparkling new high-quality tile flooring. Just a few units left to go – and all will be 100% complete by the end of 2019! I don’t about you, but these pictures (and the polar vortex) make me want to jump on a plane to head to Molokai! Did you know that Southwest Airlines will be operating flights to Hawaii including inter-island routes starting in March 2019? To stay updated on the Southwest service and for the best travel deals to Hawaii, check out www.BeatofHawaii.com. Get on their mailing list for regular travel news and great values offered to the Hawaiian Islands. In addition to the unit updates, the grounds are looking awesome. The yard crew works daily to keep the 12 acres of tropical plants and grounds in pristine condition. We are accepting reservations for 2019 and 2020, so if you’re ready to lock yours in please reach out to sue@kenanikai.com to schedule your next get-away to Ke Nani Kai! Would like to spend more than one week at a time at Ke Nani Kai? Speaking of Heading to Molokai…would you like to spend more than one week at a time at Ke Nani Kai? Or would you like to visit Ke Nani Kai multiple times a year? Or would you like to own more high demand weeks, like Ke Nani Kai weeks, to trade and travel to other destinations? I have good news! We have Ke Nani Kai time share WEEKS FOR SALE! You can buy a 2-bdrm unit for $2500 or a 1-bdrm unit for $1500. 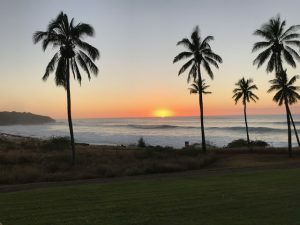 These are great values for prime Hawaii real estate at the beautiful Ke Nani Kai Resort (plus, you receive a property deed instead of some points with unknown value). If you would like to buy another week or two or if you have family or friends interested, please contact sue@kenanikai.com. Other pluses to owning with Ke Nani Kait are that the maintenance fees rank among the lowest across all of Hawaii at $65/month or $780/year. Think about that… if you rented a hotel unit or even a suite for a week, a low-end room will cost at least $150/night or $1050 per week compared to $780. And $150/night is not going to get you anything close to a unit like Ke Nani Kai – spacious, abundantly furnished and equipped with a full kitchen, living room, bedroom (1 or 2) with luxury beds, your own lanai, full size washer/dryer, a lagoon style pool and hot tub, gas grill, the ocean close by, and more! If you have family or friends that like to travel to fun get-a-way places, share this message with them so they can buy a Ke Nani Kai unit/week while we still have resale weeks available. In other good news, Ke Nani Kai survived two hurricanes in 2018 with no major damage to the island of Molokai or to Ke Nani Kai, just some strong winds, heavy rains, and a few power outages. If you are contacted by such a company and they request an upfront fee for any kind of service, it is likely to be a scam. A good rule of thumb, NEVER PAY AN UP-FRONT FEE (no matter what they call it – an appraisal, a market anaylsis, a marketing, advertising, or listing fee). For accurate information on the latest timeshare scams, visit the ARDA website (American Resort Development Association based in Washington DC): www.arda-roc.org. You can register on this web site for e-mail notifications of fraudulent practices and companies. When visiting a resort that has an active sales force such as a Diamond Resort, you may be pressured into attending a sales presentation. YOU ARE NEVER REQUIRED TO ATTEND A SALES PRESENTATION at any resort destination. To entice you, the sales people offer free gifts and special incentives to get you into the presentation room. They often try to convince you to “trade in” your existing time share to purchase one at their property. They may promise a large discount as the “trade-in” value. An ADRA investigation revealed that many of these “trade in” deals did not properly transfer the “trade in” property, and if they did, it was to an asset-less LLC.